Location: CentralWorld, Bangkok 20-30 November 2010 and Big Mountain Music Festival 10-11 December 2010. 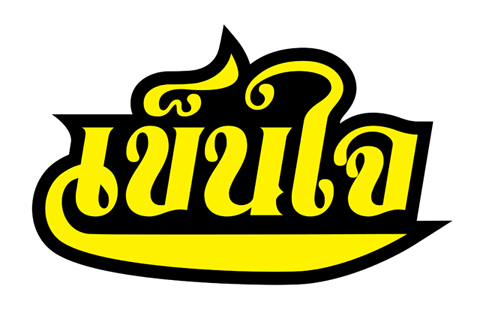 Kart 2010 is a temporary venue for selling T-shirts and stickers containing messages from design comunities in Thailand. Some messages are humorous and light-hearted while others are ironic and satirical. The culture of posting messages in public has existed long before the Internet and the development of social networking. This is particularly true in Thailand, where it seems people have been sticking messages on to objects, vehicles or other everyday possessions for as long as these things have existed. The messages themselves – commonly seen on city streets, taxis, and trucks – are often cheerful and are expressed in colorful styles and language. But sometimes they can carry underlying meanings as well. For the disenfranchised, this may be the only way to safely (or even legally) contribute opinions within the public realm, particularly grievances toward prevailing injustices or the status quo. Message Kart 2010 aims to mimic this particular type of public messaging culture. Despite being typecast as being “cool”, designers are actually not much different than those driving taxis, trucks or other working-class professions. In this case, 10 architect, landscape architect and design teams have decided to gather together to create messages from their own unique perspectives. It was felt that designers in Thailand lack tools to communicate to society at large and to voice their concerns. The medium for displaying the messages – T-shirts and stickers – was chosen for their directness and accessibility, and the design has deliberately been kept simple. At the least, design enthusiasts will now be able to obtain these messages and proudly display them on the covers of their prized sketchbooks and high-end laptop computers or even on their chests. Money raising project for our private urbanism research on “Living with water in Thailand” which will carry out at Supermachine studio’s Water Lab in summer 2011. The final product of the research project will be published in a book format + internet exhibition. More detail about the project will be posted here. For those of you who are interested in purchasing the T-shirt, they will be at Bangkok Design Festival 2010 at Central World Bangkok from 20-30 Nov as one of their mini projects. The Kart will be in Big Mountain Music Festival at Khaoyai from 10-11 Dec.